Prior to solving for results, plates needs to be meshed. 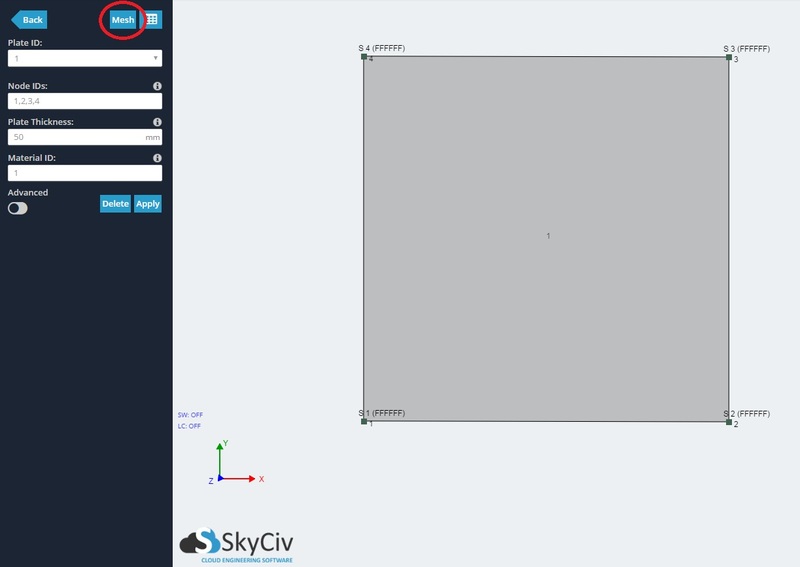 SkyCiv’s mesher is able to divide a plate into triangle or quadrilateral shell elements. The shell elements used to divide the plate include both a membrane and bending component to the element. Plate Selection – Select the plates to be meshed. Use commas to separate plate numbers, a hypen to select all plate numbers within a range, or click the ‘Select All’ button. Type of Elements – The type of shell element to divide the plate. 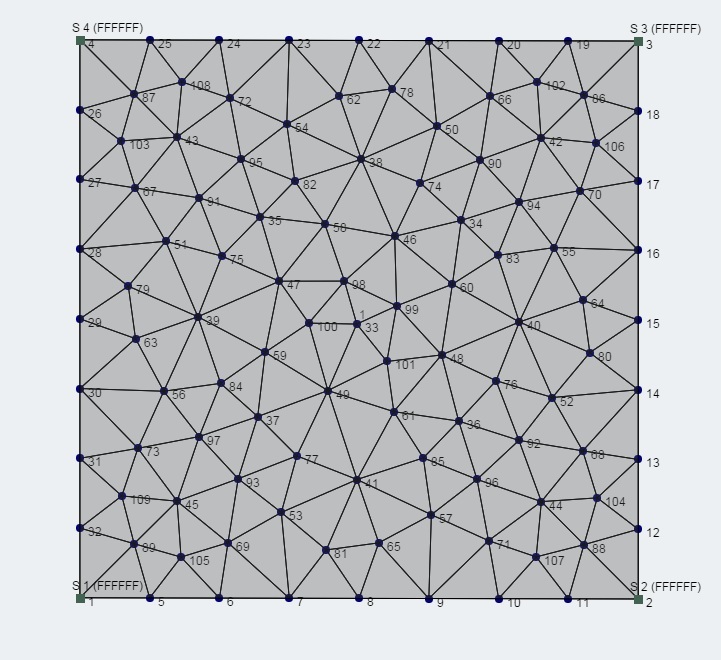 Meshing Method – Choose from Delaunay, Frontal, and Adaptive meshing methods. Granularity – Choose from 5 levels of fineness. 1 represents a very course setting, and 5 represents very fine. To learn how to create a plate, follow the Example inside of Plates. 1) To mesh your plate, click the ‘Mesh’ button at the top right corner inside the ‘Plate’ menu. Alternatively, right click the plate and hit Mesh. 2) In the pop up menu, specify 1 as the ‘Plate Selection’. Select ‘Triangular’, ‘Automatic’, and ‘1 (Very Course)’ for this example. The other examples can be experimented with. Click Mesh. 3) The plate has successfully been meshed. Follow the Example in Pressures to learn how to apply a pressure load to a plate. Not Happy with your Mesh? 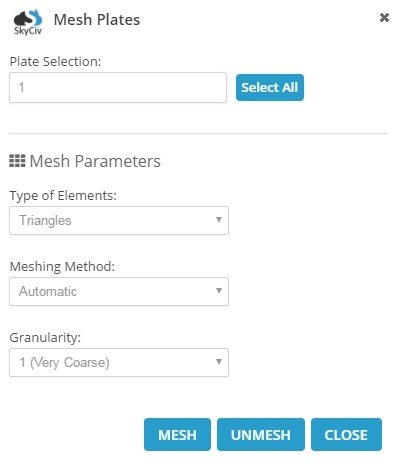 You can simply right click the plate and hit Mesh again and try different mesh settings. The plate pressures and original attributes will remain in-tact.